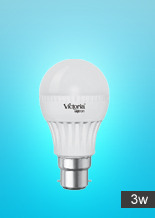 LED (Light Emitting Diode) Retrofit conventional bulb shaped lamps, have an average service life of 25000 hours and help us convert to the energy efficient lamps easily at home as these lamps have standard base design so that they can be used as direct replacements for conventional incandescent lamps upto 75 watts. These are avaiable in two colour appearance: Warm White & Cool Day Light. 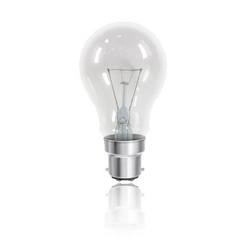 With vast knowledge about the trendy demands, we provide a fine collection of Eveready Bulb. Under the stern direction and leadership of our personnel, we have come up with an eminent gamut of Low Voltage GLS Bulbs. Examined and re-examined on varied stages of fabricating and quality examination, these presented products are completely free from flaws. We are a well-known organization that is engaged in offering high quality GLS Frosted Lamps. Designed to perfection, our offered lamps are widely demanded by several hotels, malls and commercial complexes. In addition to this, our offered lamps are provided in various sizes and models at most competitive prices.